Ayurveda is a Sanskrit word that means "the science of life," and it is the traditional medical system of India. It is the sister science to Yoga, as it was developed at the same time in India more than 5,000 years ago. Ayurveda is a holistic healing system that focuses on the whole person within the context of their lives, rather than a one-size-fits-all approach to healing. Rather than suppressing symptoms of dis-ease, Ayurveda looks for the root cause so it can be uprooted in order to restore balance. Ayurvedic bodywork utilizes dosha-specific herbs, oils, and panchakarma (ayurvedic cleanse) techniques to remove ama (metabolic toxins) from the tissues, improve lymph drainage and blood circulation, balance the doshas, and rejuvenate dhatus (bodily tissues). Abhyanga: "Abhyanga, the classic Ayurvedic massage, is an individually prepared herbal-oil massage designed to deeply penetrate the skin, relax the mind-body, break up impurities, and stimulate both arterial and lymphatic circulation, enhancing the delivery of nutrients to starved cells and the removal of stagnant waste. The desired result is a heightened state of awareness that will direct the internal healing systems of the body," (Dr. John Douillard, 2004). Marma Therapy: A 60 minute Ayurvedic acupressure massage that utilizes light touch, application of Vaidya Mishra's Marma Creams, mantras, and a turning fork on vital energy points (marmani) on the body to balance the flow of prana (vital life force energy) through the nadis (energy channels). A form of energy work, marma therapy helps to balance the doshas and chakras, enhancing emotional and physical well-being. *Session Preparation: Clients should bring clothes they don't mind getting oil on (such as old sweats or pajamas), a towel (to cover their car's head rest so oil from their hair doesn't get on it when driving home), and a hat or head covering they don't mind getting oil onto to keep their head warm afterward (an old ski cap, etc). Ideally, Ayurvedic bodywork should be avoided during menstruation, esp. the first 3 days. Sabrina Henderson is a Licensed Massage Therapist and Certified Ayurvedic Practitioner. She began studying complementary health modalities in 2003 when she attended New Mexico Academy of Healing Arts in Santa Fe. 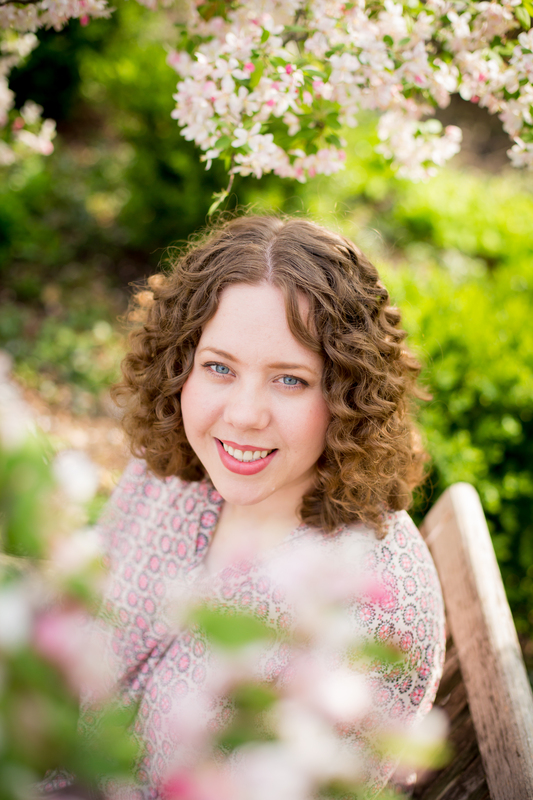 After graduating massage school in 2004, she started practicing massage therapy in the Chicagoland area, and then in 2005 made the move to Madison, WI. When Sabrina attended Puja Wellness Ayurvedic Center’s open house in 2008 and won a raffle for free ayurvedic services, it was a life changing moment. With that gift certificate, she received the most beautiful, nurturing, and healing ayurvedic treatments, and fell in love with Ayurveda. In 2010 Sabrina pursued her interest in Ayurveda and moved to Albuquerque, NM, to study at the Ayurvedic Institute with world-renowned ayurvedic doctor and teacher, Dr. Vasant Lad. Through Dr. Lad's compassionate, brilliant, and spiritual teaching, Sabrina has gained a wealth of traditional healing knowledge passed down from India's rishis over 5,000 years ago. While at the Ayurvedic Institute, Dr. Claudia Welch, D.S.O.M. and author of Balance Your Hormones, Balance Your Life, was another exceptional teacher that profoundly influenced Sabrina's love for Ayurveda. After graduating from the Ayurvedic Institute and becoming a Certified Ayurvedic Practitioner, Sabrina moved back to Madison, WI, to open her business Madison Ayurveda and Massage, LLC. After 5 years of business ownership, Sabrina and her husband relocated to Newburyport, MA, and wants to share her knowledge of Ayurveda and Ayurvedic bodywork with the North Coast community. Sabrina' philosophy on health is that just as everyone has a specific prakruti (bodily constitution), each individual benefits from having a diet, exercise regime, and daily routine that reflects their unique physical, emotional, and mental needs. What is good for one person may be detrimental to another. That is why Ayurveda gives us the analytical tools to decipher what would be most beneficial for the individual, instead of “one size fits all” generalized recommendations. Sabrina's ayurvedic consult will determine both your inherit bodily constitution and any imbalances, and what dietary or lifestyle changes can help bring you back into balance.